History: middle aged man with right upper quadrant pain. 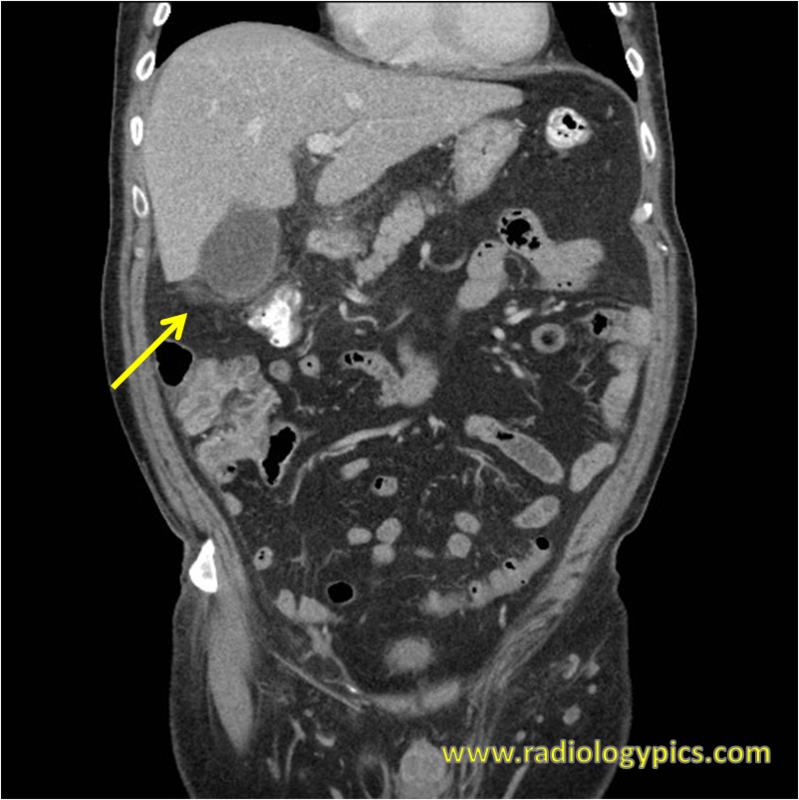 Cholecystitis: Coronal CT of the abdomen and pelvis with intravenous contrast reveals fat stranding surrounding the gallbladder (yellow arrow), compatible with cholecystitis. 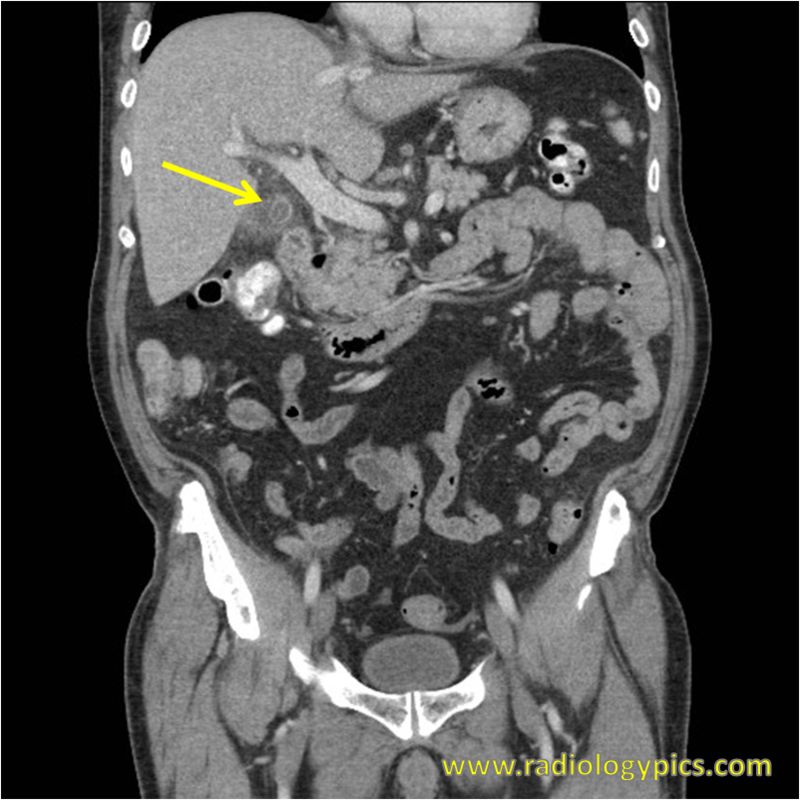 Calculous Cholecystitis: Coronal CT of the abdomen and pelvis with intravenous contrast reveals a gallstone at the neck of the gallbladder, compatible with acute calculous cholecystitis. This is a case of acute calculous cholecystitis. Cholecystitis can be classified as either acute or chronic, and acute cholecystitis can be either calculous or acalculous. Calculous cholecystitis occurs in 95% of cases of cholecystitis, and acalculous cholecystitis occurs in 5% of cases of cholecystitis. This is treated surgically with cholecystectomy. See cholelithiasis here without cholecystitis. See the differential diagnosis of gallbladder wall thickening here.